We all know people ask the daftest questions at times, usually a case of engaging mouth before the brain. Yahoo Questions get more than their fair share of these so here’s 10 of what we consider to be the daftest and hilarious and we hope you agree! #1 – Can You Book A YouTube Film Crew? Ever wonder how people get all those professional looking films onto YouTube? 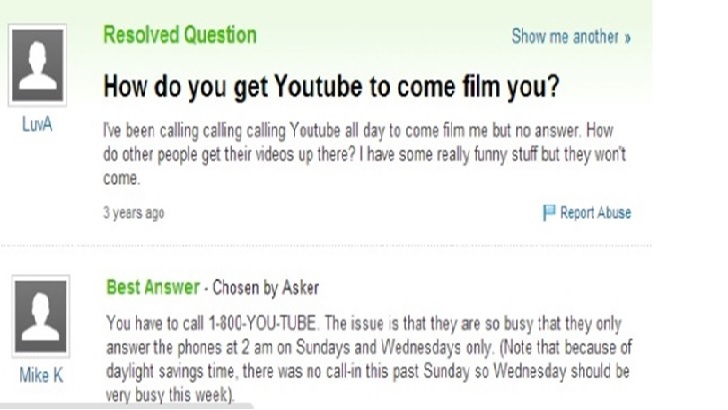 Well apparently you can book a YouTube film crew… or not?